Karterados on the Greek island of Santorini, is one of those villages that people from all over the world love to visit. It is a traditional village with astonishing views and architecture to keep you continually interested in your surroundings. Built in a ravine beside a flowing stream, this village dates back to the 17th century with cave houses constructed into the rock face constituting the original dwellings of the village. Interestingly enough, the name of the village originates from the Greek work “karteri” meaning “waiting point” or “ambush point,” referring to its history of piracy and sealife. Given its rich history and ideal location in the Mediterranean region, Karterados is sure to provide an enriching experience to the seasoned adventurer. You can access Santorini from all over Greece and in Europe but the easiest way is to head there from the Athens airport. From there, the island can be reached a number of ways. 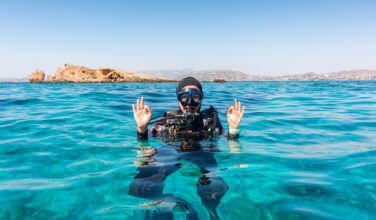 The most common method of arriving there is by a 45-minute plane ride on either Olympic Airways or Aegean Airlines, which provide a direct route to Santorini National Airport. Alternatively, one may opt to take a ferry from the port of Pireaus, only an hour distance from the capital of Athens, to arrive at the island within 10 hours. Once you arrive at the island, you can head to the village, which is actually an easy walk from Fira, the main town on the island. 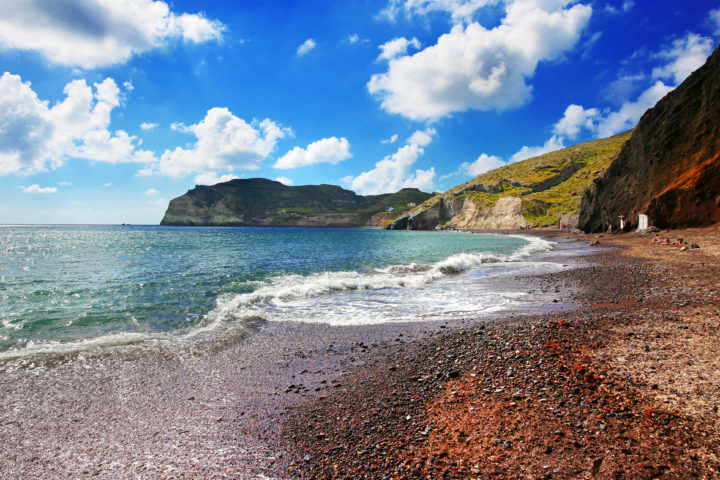 Since Karterados is so close to Fira, it is easy to spend time here, especially to head to the beach. What catches most tourists’ attention is the striking appearance of the seemingly traditional Mediterranean village, surrounded by vineyards and hosting the original architecture so often associated with the country of Greece. Additionally, for the nature lovers, Karterados has a uniquely natural landscape consisting of elegant, exotic plants and wildlife to be discovered. The cobbled street neighborhoods give off a medieval appearance that, in conjunction with the memorials and the Steps of Galaios, puts the idea of a sea captain village at the forefront. 19th century stone houses and elegant mansions built by historic shipowners are dotted all over the village, resulting in unique, once-in-a-lifetime photo opportunities and a sneak peek into world of 19th century Greece. Karterados hosts numerous history museums to make their vibrant culture and origins stand out. There are an innumerable amount of sites to see, from the cave dwellings built into the rock to the traditional whitewashed churches with domes (also known as cupolas) originating from the Byzantine Empire tradition. The comfortable restaurants, bakeries, and cafés on the island will not only give tourists a first-hand taste of Greek cuisine, but also provide affordable meals on a daily basis for those interested in indulging in local recipes. Last but not least, it is important to point out the rocky beach of Exo Gialos that attracts such a vast number of adventurers annually. 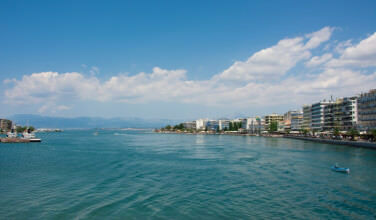 Greece is known for its striking appearance, vibrant population, and eventful history. Visiting Karterados Village on the island of Santorini will give tourists a fresh perspective on Greek life and allow them to enjoy the many sites, excursions, and memories that are sure to be experienced in this cozy little Greek village.